You'll be super stylish in these high quality, modernized Harrison sunglasses by Rebecca Minkoff. 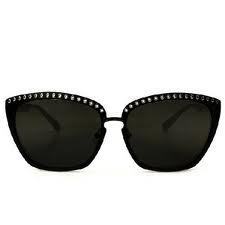 Edge out and urbanize a classic and chic look with this studded pair of sunnies. Try them with with a striped blouse, red shorts, and black wedges. Try them here, with ViewTry!